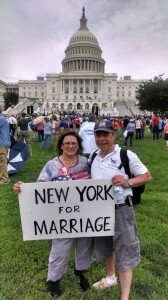 We came Thursday to be part of the March for Marriage then stayed for the Faith & Freedom annual Conference. We’ll share what we’ve learned at our next meeting. Don’t miss it. Put it on your calendar now – July 13th.